How exciting it is if tyou find the key to your old toy chest trunk. 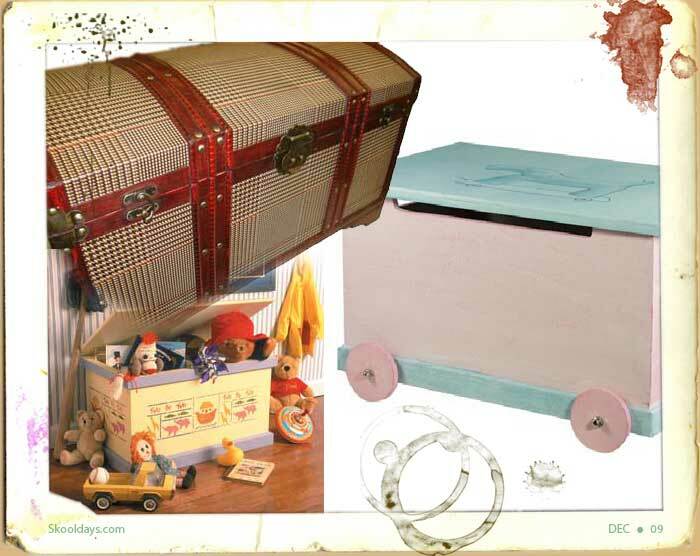 My toy chest was an old rusty trunk. After spending many years in our summer house, it was cleaned up and became the toy trunk for many years. It did have a lockable area but we never knew of a key. You can buy wooden ones today ready for you to stain or paint to match your room’s decor. Some how wooden ones seem only half a ticket. surely treasure would be in a metal toy chest. On one occasion my toys really seemed like treasure. Somehow all my toys seemed to disappear so gradually i never realised. Boy i was well unobservant as a kid! Where is my toy chest ? A few years passed and several students in the spare room later, i happened to explore our spare bedroom. There it was against the wall! My toy chest. Hid for years my toy trunk. Even more amazing when found hundreds of my old toys that i missed but never realised they had gone. It was like receiving loads of new toys, but so much more. Did my parents design this clever ploy of making old toys new again? No. When asked years later they told me they just tidied and didn’t have heart to throw away any of the games and toys oh well -it was very exciting all the same! This entry was posted in Toys and tagged 1940, 1950, 1960, 1970 by Skooldays. Bookmark the permalink. I am loving your site. I am also very much into Nostalgic toys and have started my own blog. I am still playing around trying to figure things out but you site has inspired me to keep going. There are so many toys out there that you have listed that I never heard of before or just plain forgot about. Thanks so much and I hope you can check out my site when you get a chance. That must’ve been wonderful. My mom hated to keep ANYTHING (maybe because her mom was a hoarder) so she was throwing away my childhood things pretty much right as I was acquiring them.